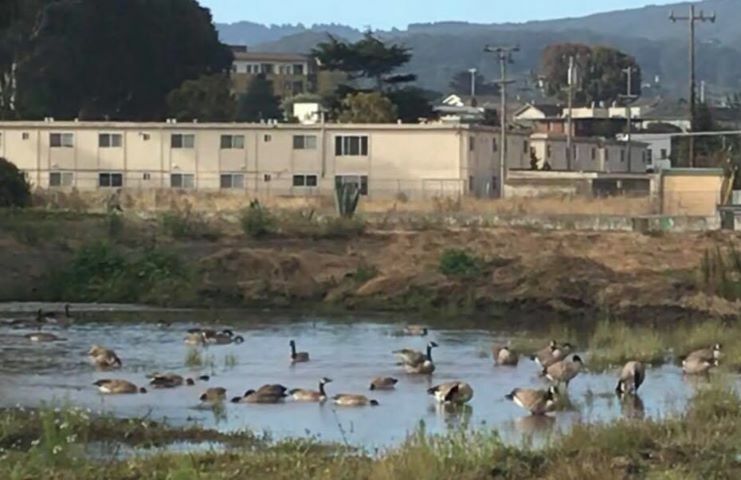 The Canadian geese are enjoying a temporary waterhole behind the trees near the skateboard area at Orange Memorial Park in South San Francisco Our neighbor took these a few days ago and went back a day later to check on them only see find the water in the area looks like it’s dry up somewhat. 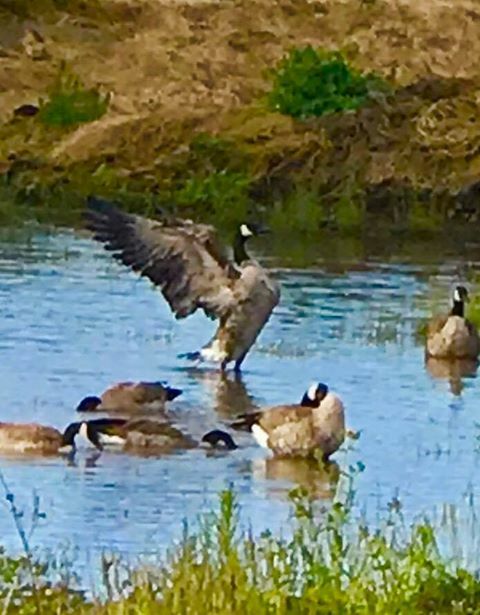 Still some geese keeping watch. Enjoy the sounds of these sweet visitors on the YouTube below. They fly over my house in Winston Manor at the same time every morning.